When it’s cold outside, there’s nothing quite as cozy as curling up on the sofa with a good book in front of a roaring fire. A fireplace evokes the idea of a warm and pleasant atmosphere. However, if it isn’t properly maintained, your living room could be filled with a cloud of soot, or worse, fire. A fireplace not only creates a snug setting, but most are actually functional and can help heat your home. Harness their heat and generate the ambiance of a softly lit living space by following the tips below to ensure yours is properly maintained and working efficiently before the first cold spell hits. Have your chimney cleaned out twice a year. The recommended number varies depending on how often you use your hearth. However, you should have it cleaned every fall to ensure it’s properly vented so that smoke has a way to escape. Also, you’ll want to make sure that no animals have made their home there over the summer. Make sure you close the damper when you’re not using the fireplace. You don’t want to make your furnace work overtime because warm air is sneaking up and out the chimney. If your home doesn’t have a chimney cap, then have one installed. These help to prevent snow, leaves, animals and other debris from falling down the chimney. Caps also help keep downdrafts from gusting into your living area. A fireplace isn’t the spot to burn your broken chair or ex-girlfriends photos. Painted wood, plastic and other treated wood surfaces can release chemicals into the air of your home. Worse, they can coat the interior walls of your fireplace, so you continue breathe them in for the next couple of fires. If you don’t already have them, mount smoke alarms near your hearth and in every bedroom. Consider installing combined carbon monoxide and smoke detectors if you have a home with a gas-burning fireplace. Don’t use your fireplace without taking the right precautions. Get it cleaned, and if it’s your first use, then be sure to get it inspected beforehand. Make the hearth in your home the heart of your home by following the tips above to ensure it’s up to snuff this fall. With Thanksgiving being tomorrow, I find myself thinking about everything I have to be thankful for. 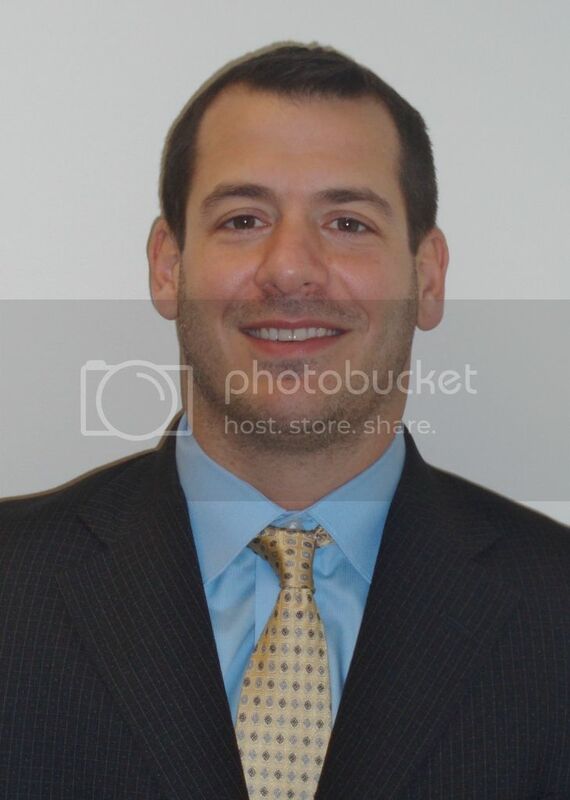 For instance, I’ve been a real estate agent for some time, which is a position that I enjoy and love. I’m also grateful to be able to share the knowledge that I’ve learned throughout the years with my clients and those of you who read my blog. It’s a wonderful and rare thing to do something that you love for a living. Most of us are so busy reaching our goals, making plans for the future, pushing and struggling to rise to wherever we feel our position in life should be, that we very rarely take the time to look back at where we started. While it’s always a good idea to have goals, to visualize and work towards them, if you never take the time to appreciate what you’ve done then it becomes a constant, maddening race to the finish line. Intangible things, such as happiness and satisfaction, fall by the wayside, considered unimportant in the grand scheme of things. With Thanksgiving drawing closer, this real estate agent invites you to think about what you have to be thankful for. Whether big or small, you’ll find yourself savoring all the good things in your life. So what are some of the things that you’re grateful for? It doesn’t have to be a big thing to be appreciated. Was the sky particularly beautiful today? Maybe you caught the bus on time, or you’re throwing the family Thanksgiving dinner this year and everyone is coming. If it brightens your life, brings a smile to your face, lightens your mood or warms your heart, be thankful for the experience. Enjoy each moment as if it were your last, sipping from the cup of gratitude and appreciation; you may find that your heart is constantly filled with happiness. 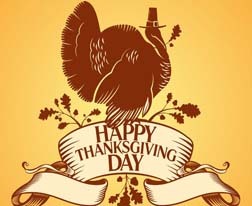 Your trusted real estate professional invites you to make every day Thanksgiving Day. The National Association of REALTORS reported Monday that pending home sales dropped by -0.60 percent in October after falling at a revised rate of -4.60 percent in September. According to Lawrence Yun, chief economist for NAR, 17 percent of real estate agents reported delays in loan closings due to the government shutdown in early October. Lenders were unable to verify borrower income through the IRS, which was closed during the shutdown. October was the fifth consecutive month with fewer pending home sales reported. Homeowners who owe more on their mortgages than their homes are waiting to sell, and recent spikes in mortgage rates were cited as factors contributing to fewer pending sales. 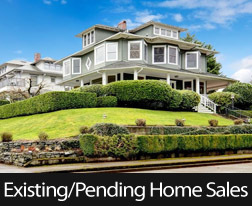 Pending home sales are defined as homes for which signed purchase offers have been received and are considered an indicator of future home sales. The NAR notes that most pending sales close within 30 to 60 days of an offer being signed. Would-be homebuyers may be including their dream homes on their wish lists for the holidays as many areas continue to experience a short supply of homes against high demand. 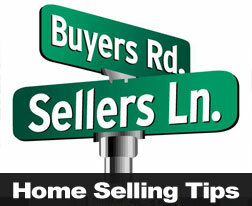 In desirable areas this can lead to bidding wars and homes being sold before they are listed for sale. Cash buyers are benefitting from these situations, while first-time and moderate income buyers may be sidelined due to affordability issues and the inability to compete with cash buyers. Mortgage rates fell last week and the previous week. While a recovering housing market has been causing home prices to rise, economists described current readings for pending sales as a “pause” in the housing market recovery and said that a significant decline in home sales could adversely impact overall economic recovery. Pending sales for the Northeast and Midwestern regions increased slightly and declined in the South and West. This suggested to some economists and analysts that the formerly hot housing market is cooling off along with the weather. Some decline in home sales is expected during fall and winter months. October sales of existing homes surpassed expectations of 5.10 million sales with a reading of 5.12 million existing homes sold. Again, the government shutdown and related concerns of consumers and home builders were cited as reasons for sales falling shy of September’s reading of 5.29 million existing homes sold. Last week’s scheduled economic news was varied, but mortgage rates fell and jobless claims were significantly lower than expected. The minutes for last month’s FOMC meeting were released, and confirmed the Federal Reserve’s intention to leave its quantitative easing program unchanged at least for the near term. The National Association of Homebuilders Wells Fargo Housing Market Index for November indicated that builder confidence, while still positive, dipped by one point to a reading of 54 as compared to an anticipated reading of 55, and October’s revised reading of 54. NAHB noted that uncertainty over the federal budget and political gridlock may have kept builder and consumer confidence levels from achieving further gains in November. The Consumer Price Index for October contracted by -0.10 percent against expectations of 0.00 percent growth and September’s reading of 0.20 percent growth. The Core CPI, which excludes volatile food and energy sectors, rose by 0.10 percent against expectations of 0.20 percent and was unchanged from September’s reading. The National Association of REALTORS reported that Existing Home Sales for October were lower than for September’s reading of 5.29 million, but slightly exceeded the expected reading of 5.10 million. October’s reading came in at 5.12 million sales of existing homes. Analysts attributed the lower reading to tight supplies of available homes in many areas and higher home prices and mortgage rates that impacted affordability. The FOMC minutes indicated that the committee has ongoing concerns over national unemployment rate of 7.20 percent against the committee’s target unemployment rate of 6.50 percent. Weekly Jobless Claims were notably lower at 323,000 new jobless claims as compared to the prior week’s reading of 344,000 new jobless claims. Analysts and investors had expected a reading of 334,000 new jobs. Analysts noted the Veterans Day holiday as a likely contributor to the lower reading for new jobless claims. Freddie Mac provided good news in its weekly Primary Mortgage Market Survey; the average rate for a 30-year fixed rate mortgage fell from 4.35 percent to 4.22 percent with discount points unchanged at 0.70 percent. The rate for a 15-year mortgage fell from 3.35 percent to 3.27 percent with discount points unchanged at 0.70 percent. The average rate for a 5/1 adjustable rate mortgage remained unchanged at 2.61 percent with discount points unchanged at 0.40 percent. This was encouraging news for home buyers and homeowners who have recently faced rising mortgage rates and home prices. This week’s schedule for economic reports includes several of interest to mortgage and housing professionals. 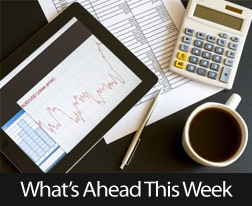 Pending Home Sales will be out on Monday; Tuesday’s calendar is full with Housing Starts and Building Permits, the Case-Shiller Housing Market Index, the FHFA Home Price Index and the Consumer Confidence Index. Wednesday’s news includes Weekly Jobless Claims, the University of Michigan Consumer Sentiment Index and Leading Economic Indicators. No economic news is scheduled for Thursday or Friday in observance of the Thanksgiving holiday. Thanksgiving is right around the corner, and if you’re opening your home for the family get together, that usually means you’ll be decorating. If you’ve racked your mind for ideas and none sound just right, here are a few decorating ideas that might help you along your way. Decorations don’t have to be expensive, just look outside the door of your home. Brightly colored fall leaves, either randomly placed on the table or bunched in small arrangements, can really brighten up a table. Folded turkey napkins is a simple way to spruce up your Thanksgiving table. Use linen napkins for a classy touch. A cornucopia is a great idea for the centerpiece. Filled with leaves, small pumpkins and other fall foliage or fruits, cornucopias remind us to be thankful for nature’s bounty. Candles can add a warm touch to any Thanksgiving dinner. The key for candle placement is to arrange them in places where a person’s breath won’t blow the flame out, generally between where people sit instead of in front of them. Thanksgiving wreaths can be fun to make, and a well-made wreath may even bring some surprising compliments. Tasteful and elegant at any time, wreaths made in fall colors are a beautiful addition to your decorations. 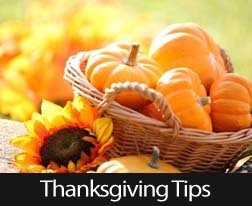 Thanksgiving baskets can be simple, inexpensive decorations for your home. Acorns or other nuts, mixed with fall leaves and a few flowers from your garden, will brighten up any room. Hang small baskets from wall hooks, or place larger baskets in corners. No matter what Thanksgiving decorations you use, whether elegant or fun, hand-made or store-bought, the key is not to overdo it. Don’t let yourself get so caught up in making the decorations perfect that you forget to enjoy your friends, family and food. May you have many things to be thankful for in the years to come. Happy Thanksgiving! The weather is starting to become a little too crisp for outdoor barbecues and camping. When Mother Nature goes into hibernation, then it’s time to move the party indoors. Whether you’re looking to show off your new digs or have just listed your home on the market, winter is the perfect time to host an open house. You want this to be a fun event that is as stress-free as possible. So plan ahead and don’t go too crazy. With a little furniture rearranging and a casual menu, you can plan a special evening that everyone will enjoy. Below are a few party tips to help get you organized. Get personal and send out invitations — not just an Evite. Hand-deliver them around your neighborhood. If you’re listing your home for sale, then give a stack to your real estate agents to pass along to other brokers that might have interested clients. Clearly print a start and finish time to the open house. You don’t want strangers outstaying their welcome. Hosting a festive get-together requires some furniture rearranging. You want to have open floor space for mingling that is interspersed with seating areas. It might be wise to declutter by putting some of your larger furniture in the basement. Try to use as little overhead lighting as possible. Turn on lamps in each room, especially around seating areas. Light unscented candles in places that are clear of accidental bumping. This will create soft, cozy glow within your home. Keep the food and drink simple. Warm apple cider and coffee along with appetizers and dessert should be sufficient. Also, place your buffet at the end of one a room, so it doesn’t block any entryways. Put the bar close to the entrance, so guests can grab a drink in case you’re occupied and can’t introduce them around. A winter open house is the perfect way to surround yourself with all you favorite people. Or, it can be the best method for highlighting a house you’re hoping to sell. 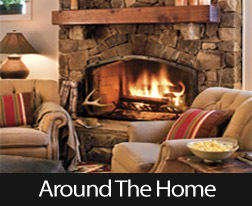 Follow the tips above to create a fun and cozy atmosphere that makes everyone feel right at home. Buying real estate for the first time is a very exciting step in life. It is likely to be one of the biggest financial commitments that you make, so it’s very important to navigate the purchasing process wisely. Many first-time home buyers make rookie mistakes that bring on negative consequences and a lot of frustration. Outlined below are common errors home buyers make, so you can learn from their missteps and avoid them yourself. Just because the bank says that you qualify a certain amount for a mortgage doesn’t mean that you have to choose a house at the very top of this price range. Many people get carried away and buy the most expensive house that they qualify for. If something unexpected happens, they may find it difficult to keep up with their monthly mortgage payments later on. Remember that you will also have student loan payments, vehicle costs, credit card bills, health insurance, groceries, retirement savings and other expenses, so make sure that your mortgage payments will comfortably fit within your budget. Before buying a house, you should always have a professional inspection done. Not doing so is a big mistake. You don’t want to get stuck with hidden damage that could saddle you with the expense of ongoing repairs. Hiring a professional to assess the home’s condition is absolutely essential before making your final decision. When you are buying real estate, don’t just think about how the home will work for you in the immediate future. Also consider what your needs will be five, ten or even 20 years from now. Find out the development plans for the neighborhood. Look for reputable schools if you intend to start a family. 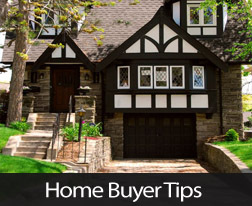 And consider whether the street’s home values are likely to increase or decline in the future. Don’t let the home-buying process overwhelm you! Learn from these common first-time home buyers’ mistakes, so you can avoid them. A great next step toward planning for your first home purchase is to consult with a trusted, licensed mortgage professional who is trained in providing the best advice on how a new home will affect your budget.